TOPAZ HORIZON: Biscoff Speculoos + Dairy Queen = LOVE! This lazy Saturday morning, I was absently browsing my emails and I got this in my inbox today and I immediately sat up and napaluwa ang mata ko from their sockets. Two of my favorite things just got married!!! Well, having an affair lang pala because this pairing is only available for a limited time!!! To celebrate Father's Day, the Lotus Biscoff caramelized biscuit was combined with Dairy Queen’s Blizzard Cake for a cool (pun intended!) cake that will go perfectly with his coffee. Surprise the fathers of your life (well, the ones without diabetes! My father and my father-in-law both have diabetes so nope, they won't get this cake. Sorry, Papa Jules and Daddy Mon!) with this limited edition treat. 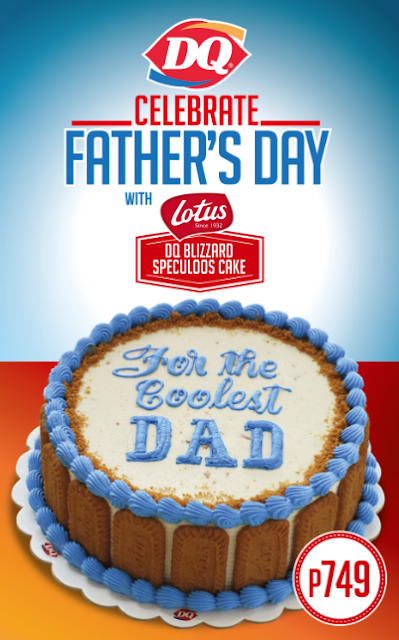 The Dairy Queen’s Father's Day Speculoos Blizzard Cake is only available till tomorrow, June 21, 2015! 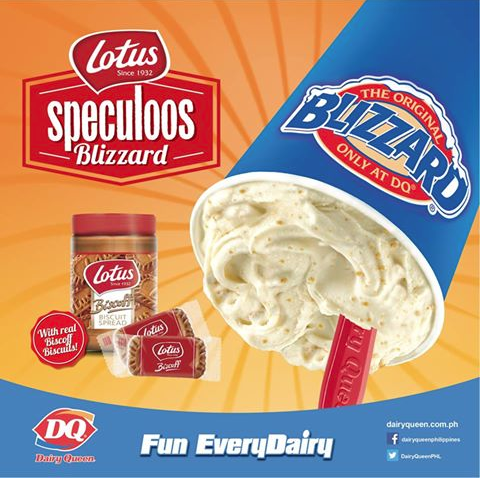 Until July 2, you can get to taste the special flavor of Lotus Speculoos Blizzard. It features the caramel taste and crunchy texture of Biscoff cookies together with the sweet and creamy Lotus Biscoff Spread. And just like all Blizzards, this flavor will also be super thick and creamy that it will be served upside-down and it will still defy gravity! Both are available in your favorite Dairy Queen stores nationwide! We're definitely getting a Lotus Speculoos Blizzard this week with the boys. Hope to bump into you, dear readers!